Tapan Gogoi has joined NIC Assam State Centre after he was transferred from NIC Arunachal Pradesh, State Centre. Bani Kanta Bharali has joined NIC Uldaguri as DIO after he was transferred from NIC Chachar District Centre. Laishram Sharat Singh was transferred from NIC Udalguri District Centre, Assam to NIC Manipur State Centre. 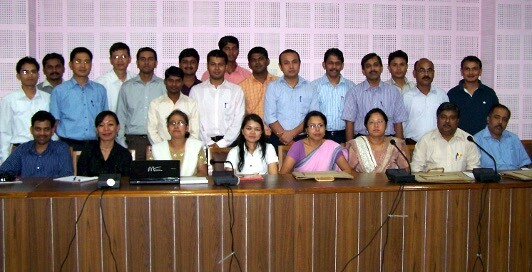 Participants from NIC North East States at the Workshop on Open Source Technology held at Assam Administrative Staff College, Guwahati from 22-27 August, 2010.